From broken microwaves to malfunctioning laundry machines, dealing with stubborn or faulty appliances is no one’s idea of a good time. That’s why at Mr. Appliance of Wichita Falls, we are committed to making your life a little easier, with fast, affordable, and reliable service from our appliance repair professionals. Our licensed and background-checked technicians in Wichita Falls and the surrounding areas are always friendly, on-time, and provide professional workmanship. And because we know your life is busy enough without having to fix your appliances, we offer flexible timing, to accommodate your schedule. Your appliances can be saved! Just dial (940) 242-2097 to schedule your residential appliance repair service today. For over 30 years, Mr. Appliance has been offering high-quality appliance repairs at reasonable prices. We like a challenge, and are happy to apply our skill to any appliance you’ve got. Big, small, and in between, our Wichita Falls appliance repair experts have seen it all, every single make, model, and brand. In fact, we’re so confident in our abilities to fix your appliances, we even offer one-year warranties on all repair services and parts! At Mr. Appliance of Wichita Falls, our locally-owned and operated appliance repair team is part of one of the fastest growing appliance companies around the globe. That’s because we are committed to providing all our factory-trained technicians with skills in mechanical repair and home construction, and outfitting them with the tools and equipment needed for every individual job. 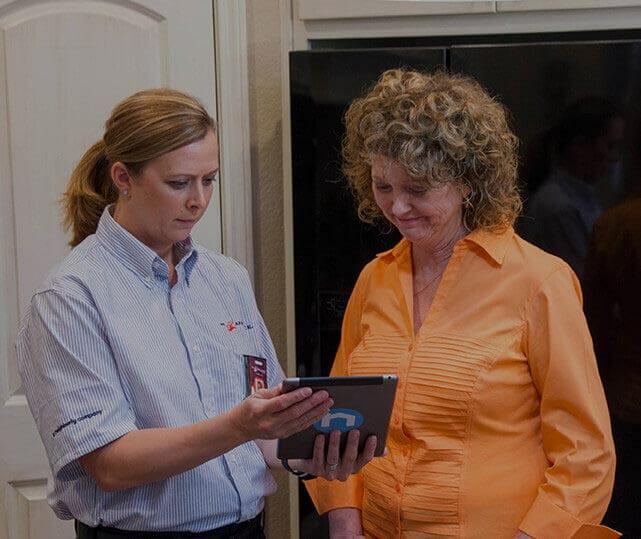 We also go above and beyond for our customers, by containing to check in down the line, making sure your appliances work smoothly for years and years. Ready to experience the Mr. Appliance difference? Call (888) 998-2011 now for on-site repairs and installations in Wichita Falls and beyond. $15 Off Any repair over $100 Offer good for REPAIRS over $100, not valid with any other offer.